For most of us, it’s the most exciting time of the year. You’re already thinking what gifts you plan to give your loved ones and whose home the family will be visiting. One of my favorite aspects of the holidays is my tradition of transforming my home into a winter wonderland. I dedicate a couple days to the transformation, but it’s worth it. Decking the halls the easy way is the best way when you do it with the LC. 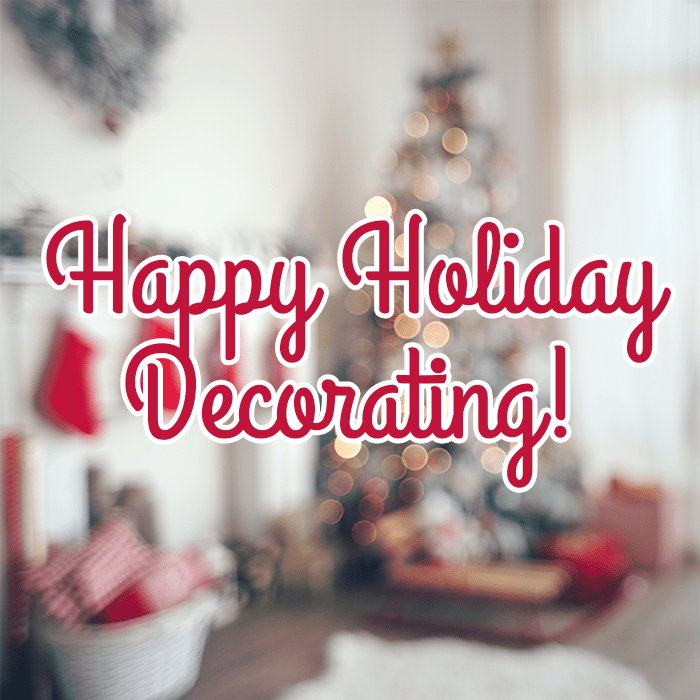 Continue reading to discover how to save time and money when decorating your home for the holidays! Nothing puts you in the holiday spirit like a big sparkly Christmas tree. It is the epitome of tradition and essential in holiday decorating. Most of us remember being kids and spending hours with our family decorating the tree. I remember each year, our tree would have this awkward part with no lights because no one could reach that part of the tree. Last year I purchased a real tree. Although I loved it because it filled my home with that natural pine smell, I had to water it and dispose of it properly after the holidays. Let’s not forget the frustrating job of detangling last year’s Christmas tree lights. These days, the work of decorating the tree can be cut in half by purchasing a pre lit artificial tree. They come already lit, with the lights evenly distributed. This means you won’t have awkward non-lit holes in the tree. And next year, no one will have the dreaded task of detangling the chords. All that is left with the tree decorating is the fun stuff… putting on the ornaments. Check out the LC’s selection of pre-lit Christmas trees available in several sizes. 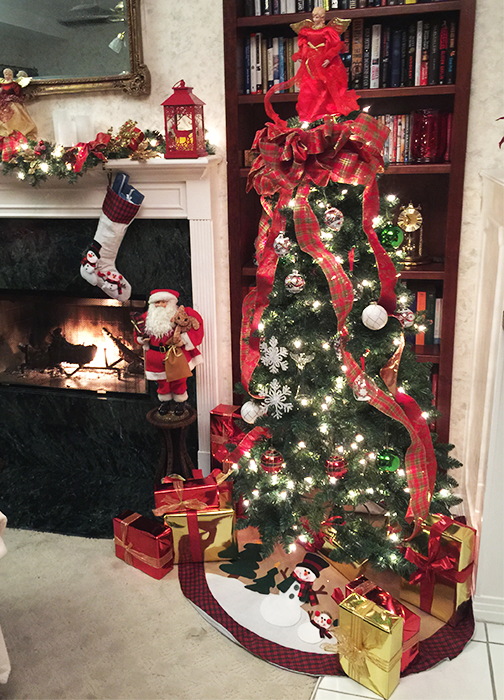 A home filled with the holiday spirit doesn’t just have a great tree. It’s filled with holiday-inspired knick-knacks all over the home. The smell of apple cinnamon candles, pine cones in vases, tables frosted with snow and garland make the home feel like Christmas. There are a few specific places in my home I go out of my way to decorate, which include coffee and side tables, fireplace mantle, front door, and the kitchen table. This year, Shop LC is bringing some fabulous holiday décor. You can find everything from pre-litt garlands to snow globes at unbeatable prices. The most important part of the holiday season is the togetherness we experience with the ones closest to us. When decorating your home for the holidays, it should feel comfortable, warm and cozy. It’s cold outside, so the inside of your home should feel like a haven. Every year, I bring out fluffy throws and pillows to put on my sofas and chairs. I want each room to feel warm and inviting. Be sure to check out the LC’s selection of animal print throws. As you can tell, decking the halls can be easy when you have a little help from the LC. Be sure to tune in this month for our Holiday Home Decor Shows. I promise you won’t want to miss these unbeatable prices! Dionne has been a host for the LC since 2007. She loves all gemstones, but her favorites are Kunzite, Tanzanite and Sleeping Beauty turquoise. Outside of the LC, Dionne loves to do DIY projects, home decor and anything to do with the holidays!